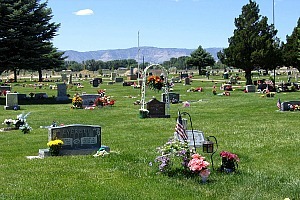 Most cemetery websites post an alphabetical listing of burials for a single cemetery. NAMES IN STONE allows the visitor to search an alphabetical listing of multiple cemeteries AND view the actual grave location on an interactive map. It’s almost like being there! 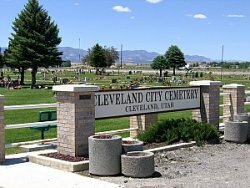 CITY CEMETERY: The burial ground of the City shall be known and designated by the name of Cleveland City Cemetery. LOT:	The partial lots or single graves in the cemetery. LOT OWNER OR PURCHASER AND GRAVE OWNER OR PURCHASER: The owner or purchaser of burial privileges or the collateral right of use of any burial lot evidenced by a deed or burial right for a described lot or by proved and recognized descent or devise from the original owner. APPLICABILITY: All cemeteries owned and/or maintained by the City or which may hereafter be acquired by the City, wherever situated are herby declared subject to the provisions of this Chapter. Recommend Rules and Regulations: Recommending such additional rules and regulations as may be necessary for the operation, maintenance, use and protection of the cemetery. Subdividing: Subdividing the cemetery into lots and grave sites. Record Maintenance: Maintaining a record of the location of the graves and preventing any lot from being used beyond its capacity. Enclosure: Keeping in proper repair the enclosure around the cemetery and preventing the destruction or defacing of any tablet or marker placed or erected therein. Plat of Cemetery: Keeping a duplicate plat of the cemetery and, at the request of any person wishing to purchase any of the lots or parts of lots, pointing out any of the lots or parts of lots for sale; and upon disposal of any lots or part thereof, notifying the City Clerk of such fact. The City Clerk shall, after payment of the lot price has been received in the City Office, issue a certificate of burial rights which shall describe the lot or grave to which the right to burial is granted. The certificate shall be signed by the Mayor and the City Clerk. Opening Graves: Opening any graves in the cemetery upon application being made by the City Clerk or by any person having the right to make such application and being responsible for closing all graves. Floral Pieces; Displays: Removing floral pieces or displays left on any grave as deemed necessary to the appearance of the cemetery, but such floral pieces or displays shall not be removed sooner than seven (7) days after original placement, except in emergency. Vaults: It shall be unlawful for any person to be buried in the cemetery unless the casket shall be placed in a vault made of concrete. No vaults made of synthetic materials shall be allowed. Vaults shall be required for all urns. There shall be no more than one (1) urn buried per lot or gravesite. There shall be only one grave marker per lot or gravesite. Grave Specifications: Specifications for graves are five feet by ten feet (5’ X 10’) plots with eighteen inches (18”) left between graves and a two foot (2’) area left between graves head to foot. With the exception of Section A of the Cemetery. Piggy Backing: There shall be not more than one body buried per lot or single gravesite. The practice commonly known as “piggy Backing” wherein one body is buried directly above another, shall not be allowed. The City does not allow a full burial and a cremation within the same site. Headstones or Markers: The base or footer of a single headstone or marker shall be smaller than four feet (4’) in width to avoid interference with adjoining plots. Markers: All grave markers placed in the cemeteries will have a cement border extending outward from the outer perimeter of the marker base for a minimum distance of four (4”) inches, concrete and raised 4 inches and these borders must be set at ground level. Street Maintenance: Keeping the streets, walks and avenues in the cemetery in good order and unobstructed. All ceramic pictures will be inset, so the outside of the picture is flush with the face of the stone. It is recommended that all markers be made of granite or material of similar hardness. Raised Markers: All raised markers will be in pre-designated rows only. Only one upright stone or marker will be allowed per each two (2) graves in contiguous order in common ownership. Street Maintenance: Keeping the streets, walks and avenues in the cemetery in good order and unobstructed. Before any deceased person is buried in the city cemetery, a permit properly issued by the registrar of the registration district in which the death occurred or, in the absence of such registrar, a permit duly issued by the state division of health or other authorized person shall be required by the City. After burial, the city shall endorse upon the permit a description of the location where the deceased is buried and shall enter all of the information contained in the permit in the cemetery records. It shall be unlawful for any person to bury the body of a deceased person in the city cemetery without first obtaining a certificate of burial right for the lot used or producing satisfactory evidence of a right to burial based on a properly acquired certificate of burial right. Only under the direct supervision of the City maintenance work, shall individuals or family members be allowed to conduct the burial of urns. Permission to open a gravesite for burial may be given by the owner of the lot, or a family representative designated by the lot owner. Registration: Before any deceased person may be buried in the city cemetery, the relatives or person having charge of the deceased shall complete the Cemetery Grave Opening Information Form, which shall be filed by the city clerk. All information available must be included on the form. It is an infraction, subject to penalty to bury the body of any person within the city, except in the city cemetery. The City Council shall, from time to time by resolution, fix the size of lots, the price at which burial rights shall be sold and the fees which shall be charged for the various cemetery services to be provided. Resident/nonresident status refers to the person being buried, regardless of who the lot owner may be. The person shall be determined a resident if they are living in Cleveland at the time of their death. A person shall be determined a nonresident if they are not living in Cleveland at the time of their death. Definition of a resident will be determined by the City Council. Collection: The city treasurer, and such other persons as the City Council may designate, are hereby authorized and required to collect in advance, prices and fees for the opening and closing of graves or other services which shall include, but not be limited to, properly disinterring bodies and properly restoring the earth and grounds, recording each burial, disinterment or removal and raised monument privileges. Prepayment of grave preparation fees may be accepted with the condition that any increase made in the fees will be assessed at the time of grave opening. No grave shall be opened in the cemetery until payment for that service has been paid or payment arrangements have been made with the City Clerk. The presentation of a receipt from the City Clerk or person designated by the City Council when presented to the maintenance department, shall be authority to open a grave for the burial of a deceased person. However, upon a contract being entered into between any mortician and the city wherein the mortician agrees to be responsible and liable for fees for the opening of a grave, and wherein that mortician will be personally liable for such fees and for perpetual care payments, the City Clerk or authorized person may give the maintenance department authority to open graves without the presentation of a receipt from the City Clerk or authorized person. AUTHORITY; Records: The City Clerk, or such other person as the City Council may designate, is hereby authorized to sell the use of lots in the city cemetery for burial purposes only and to collect all sums arising from the sale. The city Clerk shall keep a complete record of all sales, which record shall describe the location of the lot purchased and the price paid therefore. The City Clerk or designated person shall deliver to each purchaser a certificate of burial rights for each lot purchased, which certificate shall, among other things, describe the location of the lot, the purchase price and the type of maintenance services which are to be provided. Purchase Price, Scope of: A certificate and rights to burial shall be exempt from execution, taxation or assessment for care and maintenance from and after full payment of the purchase price. Payments made pursuant to this section shall not be construed to be in payment for cemetery services other than perpetual care. the grave with grass and watering and cutting the grass. No other services are included. Improvements, Changes and Services: No other improvements, changes or service, except perpetual care, shall be made on any lot without the certificate holder or his heirs first submitting to and receiving from the city written approval for such improvements, changes or services, which improvements, changes or services shall be subject to the rules and regulations promulgated by the city council. Whenever a certificate to burial rights or lots reverts to the city, as provided for in this subsection, or becomes vested in the city for any reason, before new certificates are issued, the original certificate shall be canceled or an assignment given and the record shall be so changed. The certificates shall be issued and signed by the mayor and shall be attested by the city recorder. All lots or parts of lots, as provided in this subsection, together with all improvements, shall be exempt from execution and from taxation and assessment for care and maintenance charges from and after said payment. Scope of Care: The essential perpetual care that the City agrees to give shall consist of care of the cemetery generally, and shall include, but is not limited to, mowing of all	lots and graves at reasonable intervals, resodding, seeding and filling in sunken graves, sodding the surface of the graves to lot level, removing dead flowers and trimming trees and shrubbery when necessary, raking and cleaning the lots and straightening of tilting stones or markers, but shall not include repairing or replacing markers or memorial structures of any nature, except when the need for repair or replacement is directly caused by the City. No grave shall be hereafter opened in the cemetery of this City until perpetual care upon the lot where the grave is to be opened shall have been contracted for with the City, or perpetual care thereon paid. Should it be the desire of any person to have a grave opened and the body interred therein and perpetual care shall not have been previously contracted for or paid in full for the lot therein, the person may either pay the full purchase price for perpetual care or enter into a contract wherein payment shall be agreed. The agreement shall provide for a down payment in the amount of twenty percent (20%) of the total purchase price of the cost of the lot, and shall further provide for the payment of monthly installments over a period not to exceed twelve (12) months. The monthly installments shall be in the amounts equal to the balance of the contract divided by the number of months which the contract is to run. No interest will be charged if the balance is paid within the 12 month period. Outstanding balances will be charged six percent (6%) interest. The installment contract for perpetual care of, or purchase of a lot with perpetual care, shall proved for collection by the City in event of a default and such collection shall be by civil action, and the defendant therein shall pay cost of collection, together with a reasonable attorney fees to the City, and shall also pay interest at the rate of eight percent (8%) per annum upon the past due installments. All installments shall immediately become due upon the default of any of the installments; provided however, that when perpetual care for any lot in the City cemetery or portion thereof, has not been paid for a period of ten (10) years, then, and in such an event, the unused portion of the lot shall thereafter, escheat to the City, and the title thereof shall revert to the City, which shall thereafter have the right, option and privilege to sell and dispose of unused cemetery property, as is in this Chapter provided, upon condition that the City shall thereafter maintain perpetually without cost of fee the portion of the lot occupied by a grave or graves prior to the date when the remaining property escheated to the City. There hereby is established a Perpetual Care Fund according to the laws of the State and this Chapter. All funds received from the sale of perpetual care services shall be placed in a special Perpetual Care Fund, invested in compliance with the laws of the State and used for the purposes herein provided. The income from the Perpetual Care Fund shall be used to pay the upkeep and development of the cemetery. The City may borrow from the Fund from time to time, but any funds borrowed shall be repaid to the Fund with interest thereon at the prevailing rate paid by the City to borrow funds from commercial lenders. If the City borrows from the Fund, it shall pay into a fund for the operation of the cemeteries the interest accrued upon money annually. Should it be found that the interest returned upon the perpetual care funds shall be more than is required to pay for the operation and upkeep of the City cemetery, then the surplus shall be added to the principal amount of the Perpetual Care Fund herein created, and shall be so handled until changed by resolution to provide for the use of such accumulated interest. Treasurer: It shall be the duty of the City Clerk to keep an accurate record of the perpetual care trust fund account, including investments, to see that the principal portion thereof is properly invested in accordance with resolutions of the City Council and the laws of the State, and to advise the Mayor when funds are available for investment in the amount of one thousand dollars ($1,000.00) or more, The Mayor shall advise the City Council of the availability of such funds. City Council: It shall be the duty of the City Council, when funds are available for investment, to direct by resolution all purchases of securities for the Perpetual Care Fund or to name a suitable trustee for such investment. Investment Income: All income from investment held in the Perpetual Care Fund shall be quarterly credited to the Cemetery Maintenance Fund for use in providing the perpetual care as required herein. The City Council may be resolution designate a portion of the City cemetery to the burial of indigents. Whenever it is made to appear to the Mayor by proof submitted to him by the City Clerk that any person who has died does not have an estate sufficient to pay the purchase price of a lot in the cemetery, and that the nearest relative or representative of such deceased person desires to have the body of such deceased interred in the cemetery, the Mayor may grant burial space for such deceased person at the request made to him by the City Clerk. The Mayor shall communicate his decision to both the City Clerk and the Maintenance Department. The Mayor shall give report of his decision, whether affirmative or negative, to the City Council at its next regular meeting. All strangers without funds or other persons who may die in the City may be granted the privilege granted herein. 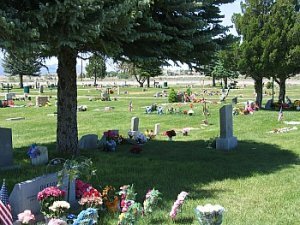 The City Council may promulgate by resolution such additional rules and regulations concerning the care, use, operation and maintenance of the cemetery as it shall deem necessary. The Mayor may, from time to time as the City Council deems necessary, direct and publish a booklet of rules and regulations for the convenience of the purchasers of lots in the City Cemetery. Such rules and regulations shall constitute a part of the terms and conditions under which owners and users may utilize the cemetery and shall form a supplement to this Chapter after they have been adopted as official by resolution of the City Council. Lots Sold: Every lot or single grave sold is subject to rules and regulationsthat have been or may be adopted. The rules and regulations shall besubject to such changes as are found necessary for the protection of lotowners, and the remains of the dead and the preservation of the cemetery. The provisions of the City traffic ordinances relative to the operation of vehicles and conduct of pedestrians shall be in effect in the cemetery, except as herein otherwise modified by this Chapter. It shall be unlawful for any person to ride or drive within the City cemetery at a speed greater than five (5) miles per hour. Children: Children under the age of sixteen (16) years shall not be allowed in cemeteries unless accompanied by their parents or other adults, except for the purposes of attending authorized funerals or, in the company of adults, placing flowers on the grave of a deceased relative or friend, or performing any other customary evidence of respect in accordance with their religious principles. Youth who are employed by the City for maintenance work are permitted in the cemetery, under the supervision of the Maintenance Supervisor. Animals: No animal shall be allowed in any cemetery, except in the confines of a vehicle and must be at all times retained within the confines of said vehicle while the vehicle remains at the cemetery. Decorum: Cemetery grounds are sacredly devoted to the internment and Repose of the dead. Strict observance of decorum due such a place shall be required of all persons. Errors in Opening Graves: Under no circumstances will the City assume responsibilities for errors in opening graves when orders are given by telephone. CARE AND MAINTENANCE: RIGHT TO ENTER: The City reserves the right to enter upon any grave and to perform all work necessary for the care and upkeep of all lots and graves in its cemeteries. attempt to tie any horse, animal or motor vehicle to any monument, gravestone, tablet, marker, tree, shrub, fence or enclosure on the premises of the cemetery for the purpose of injuring, defacing or attempting the removal of same. It shall be an infraction, subject to penalty, for any person to injure, deface, break, destroy or remove any headstone, tombstone, monument, tree, shrub or any other property in the cemetery. Landscaping by Private Persons: It shall be unlawful for any person to erect or maintain any fence, corner post, coping or boundary of any kind, to place benches, to plant any shrubs or trees upon any lot or lots, street, alley or walkway in the cemetery or to grade the ground or land thereof without first obtaining approval from the City Council and cemetery groundskeeper. The maintenance department shall, whenever required, furnish the true lines of any lots according to official survey, shall prevent and prohibit any markings of the same except by official landmarks, and shall prevent and prohibit any grading thereof that might destroy or interfere with the general slope of the land. Existing flowers, shrubs and trees may be trimmed or removed as the City Council may direct. Grave Decorations: Grave decorations are not permitted from April 1 to	November 1, with the exception of holidays and birthdays. This includes, but is not limited to boxes, shells, toys, metal designs, ornaments, chairs, settees, vases, glass, wood or iron cases, flags, shepherds hooks and/or similar articles. If so placed, the City reserves the right to remove the same without notice. Family members or cemetery staff will remove all grave decorations within seven (7) days of any holiday. Those unable to retrieve such items within seven (7) days may contact the Sexton’s office for direction. The first Monday in April, for mowing to prepare for Memorial Day. Seven days after Memorial Day.